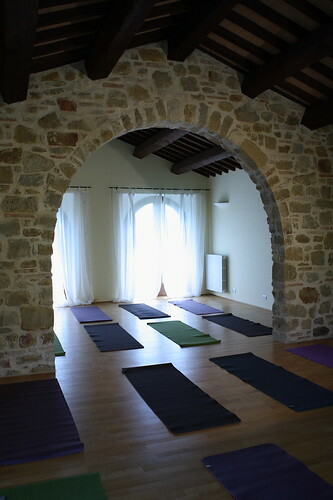 Are you thinking of opening a Yoga Studio? Do you have one and are curious how you compare? Let me share with you the real financial numbers that came from my experience. First, let me say that I opened my studio in a suburb of Minneapolis, Minnesota. So my real estate costs were probably medium range. I also opened my center 12 years ago and had it open for 7 years so inflation will play a roll in present day numbers. I took out an SBA load for $50,000 to get started and paid it back over 7 years. I didn't get paid for 16 months and I taught all the classes (14-16 each week). This was before the mass profusion of teacher training programs. There were no teachers. I finally began training teachers again to train my subs! It took two years to pay myself consistently. Our overhead was $12,000 a month, including paying me (and I supported my family of four). Without my pay our overhead was $8,000. It is very hard to reach an overhead when students are paying $12.50 a class. Let me do the math for you. To reach $8,000 a month, we needed an average of 240 students per week (and that is without paying me). 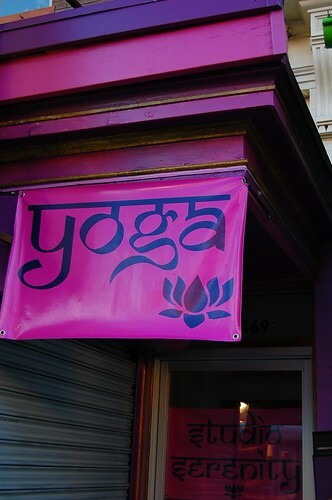 Unless you live in a population dense location with no other yoga studios competing (is there a place anymore? ), you must have some other source of income to help you. My teacher training program took us from red to black. We brought in around $30,000 a year in teacher training income. Other ideas include bringing in someone who pays you rent such as a masage therapist or other complimentary practice. You can rent out your space when it is quiet (during the day) to groups who need day time hours (such as kids' classes). Hope this helps! Let me know if you have questions I can answer for you. By far the worst reason to pay this way is because it turns students into commoditites. Each one is worth $6 a head, or whatever you pay. While there are those teachers out there who are so clean about money and so in love with teaching AND do not have to teach to pay their mortgage (they have enough money already or a spouse who earns a good wage), it is hard not to turn a class into counting heads, especially if you frequently have a small class. Sitting there, with two students thinking, "Really, I just took 3 hours out of my day for $12. I could be home with my kids." It is very difficult to teach your best wtih such a feeling in your heart. Creates competition between teachers which can turn to serious ill-will. I have even seen teachers who know a student would be much better served by another teacher but she doesn't want to let her student go because of the loss of income. Plus, there is jealously for the teacher who has a great time slot. Finally, makes it hard to find coverage for the traditionally smaller classes. Everyone wants to teach Wednesday night but to find instructors for Thursday 10am? Much harder. And that teacher has a hard time finding a sub when she wants one. If you pay by student because you want to inspire your teachers to bring in more students, find a different motivation. If you can give them a sense of ownership, they will want to bring in more people. (You don't have to officially give them part ownership, simply calling it "our studio" will begin to impart that feeling.) Throw a party when a certain number of students is reached, give them all studio t-shirts or a water bottle, a fabulous book, or a party to inspire them. Money is not the greatest motivator for the younger set now anyway, so be creative! Pay your teachers a fee based on a sliding scale. Begin with a base amount for a teacher straight out of teacher training. Then go up based on skill, experience, and level of education. I know of only one studio owner who pays this way and her teachers and students are thrilled with the studio. Everyone is happy! The challenge, of course, is when you are just starting out and might not have the capital to pay that much. Perhaps you prefer the "per student" because you know you will make enough to cover paying the instructor. I recommend starting with very low pay and get the teachers on board feeling a sense of ownership. Let them know what your overhead is, be honest. Let them know the number of students it will take to keep the center viable and what you can afford to pay them. Also set a limit on how long you will go at this low rate before renegotiating. A word about flat fees. I paid flat-fees when I had my center. All of my teachers were brand new so it was appropriate. (It was back in the day when there were no teachers around. I had to create teacher training to train help!) What I liked about it was my instructor fees were relatively fixed each month so I could easily budget and anticipate the money I needed. What didn't work was the varying level of experience and skill that began to emerge as time went on. It was then that I realized a sliding scale was a system that felt more fair.